I love fish!! I like to cook it at least once a week for my family. We have got our kids eating it at an early age. Now they request it. 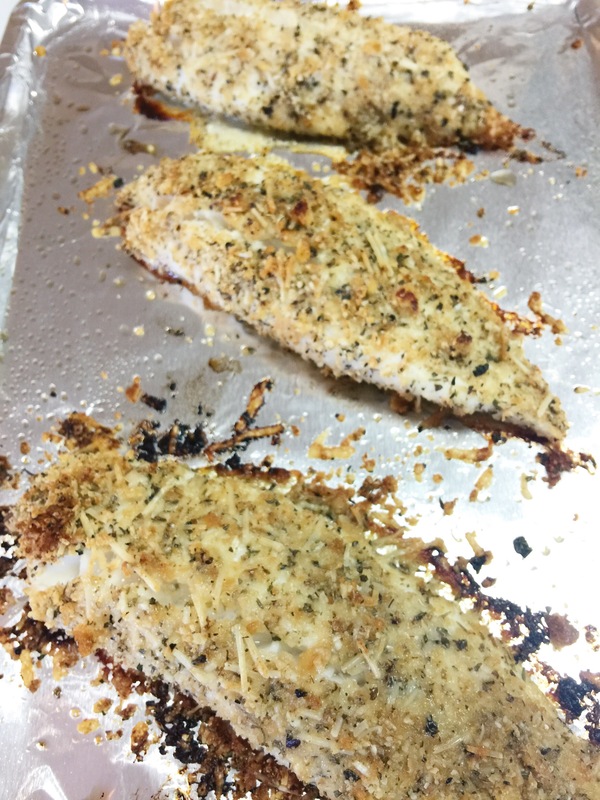 This Parmesan Crusted Tilapia is on our regular dinner menu, because it is THAT good! Our kids love this dish. If you are not a big fish eater, this is a great one to try, because it is NOT “fishy” tasting and as a bonus it is an easy dish to make. This dish only takes about 5 minutes to put together. If you and your family aren’t big fish eaters, this might change your minds. 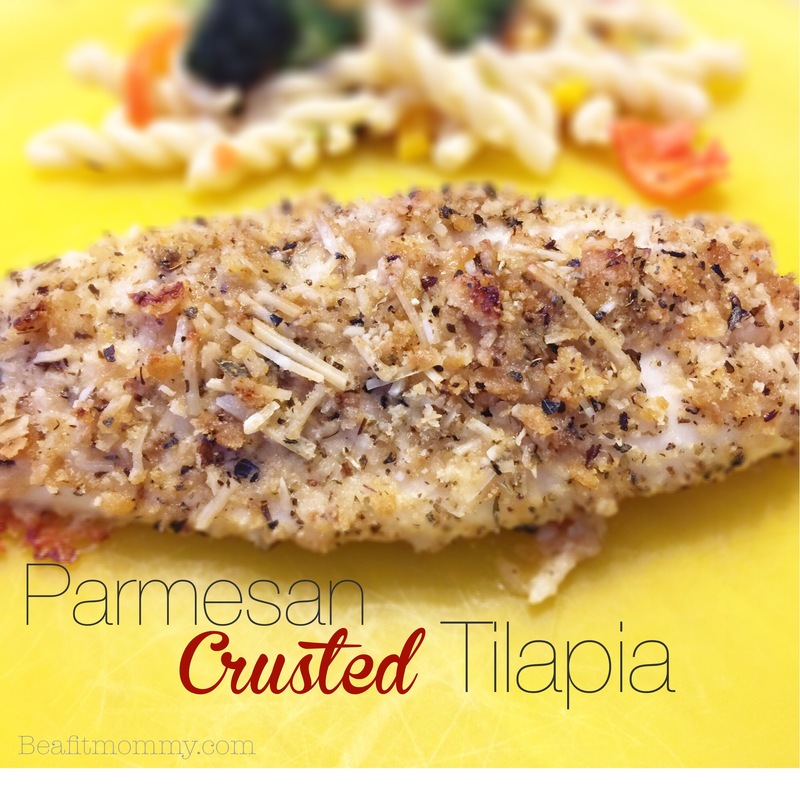 If you and your family are fish lovers, then you will LOVE this Tilapia!! You must try it! This is a regular dinner at our house. I never regret making this meal! Preheat oven to 425 F. Line baking sheet with foil and spray with cooking spray. Combine bread crumbs, cheese and seasonings on a plate, mix well. On a different plate pour lemon juice. Taking one fillet at a time, dip the fillet in the lemon juice until well coated. Then, coat the fish in the Parmesan mixture, patting it all over to coat. Place the fish on the prepared baking sheet and repeat with other fillets. Sprinkle a little lemon juice over the fish then drizzle or spray lightly with olive oil. Bake for about 20 minutes or until fish easily flakes with a fork and the edges are crispy and brown.